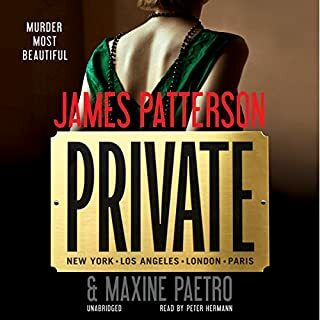 This is quite simply one of the very best murder/mystery books I even did read. WARNING: It's very intricate, so try your best to make mental notes of who each character is. I kept rewinding to figure out who was who, but I'm not complaining, I'd do the same over and over for a book like this. My other fave murder/mystery writers is Val McDermid, another Scot. Scots seem to be good at this category! 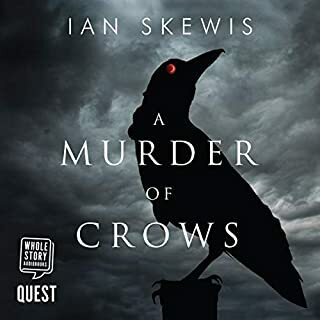 Read Murder of Crows to the very end, please--the twists and turns are simply magnificent. Ian Skewis is now with Val McD at the very top of my list for this category. 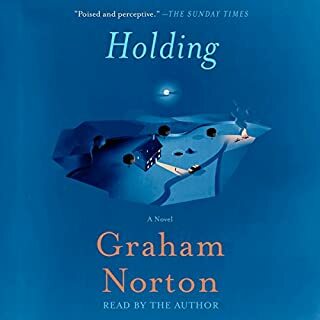 I'm a big fan of Graham Norton, and my wife and I watch his show on BBC America every time it's on, so I know for sure that he's a smart cookie. Good TV interviewers, though, aren't necessarily good writers. But this one is. I was delighted, over and over again, by turns of phrase, great descriptive lines, and the pictures he paints of the small Irish village where everything goes down. 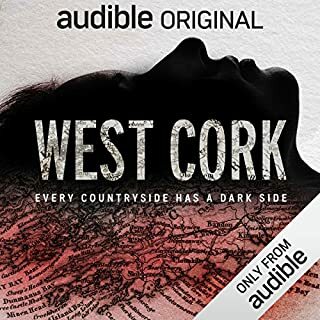 Whether you're a Norton fan or not, if you enjoy good murder mysteries set in quirky little villages in Ireland (or the UK, for that matter), this book's for you. Promise. I can't begin to sing the praises of this book loud enough. Great story well told. It held me from start to finish. My wife got fed up of me telling her how good it is, so she got her own copy. Just don't miss this one. You'll be sorry if you do. I was sorely disappointed with Origin, his last book, but thought he wouldn't write two bad books in a row. I was wrong. 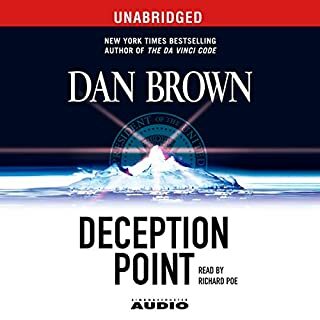 I admit to not finishing this book--I was just too bored by the time I was half-way through chapter 12, and it seemed pretty obvious that Deception Point was heading in the same direction as Origin: Lots of noise about something that turns out to be nothing at all. I won't make the same mistake again. 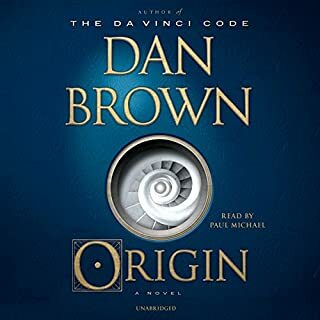 No more Dan Brown for me. This drama was played out really well by all concerned, but I had a massive problem when the credits were read out after each and every chapter. There are 13 chapters. Deduct 13 minutes (minimum) for the true length of this production. Despite this, I loved listening to this audio-play immensely, and the actors were superb, but then came the ending. The most disappointing ending ever. It was based n a true story, so the producers might say that they had no control of the ending. And that would be true. It's also true to say that they could have chosen a far better story to produce. One with a decent ending. They knew from the start what the ending was going to be. Why bother with this story, then? How Do I Love Thee, Val McDermid? 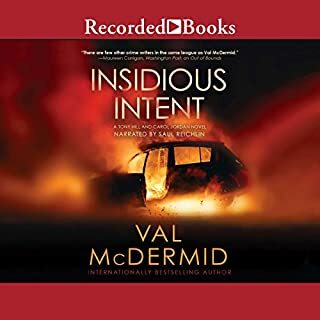 Val McDermid has been my favorite crime writer for many years, and Insidious Intent is probably her very best work. I found myself smiling often at the plot twists, and unexpected situations cropping up, all weaved together in an intricate web. 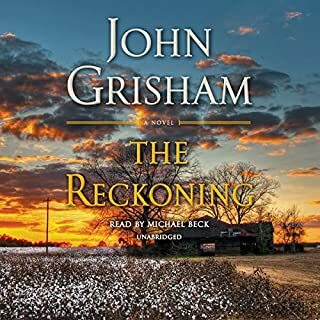 I'll not go into the plot line at all, and I certainly won't even hint at the ending except to say that it will knock your socks off. PS: The narrator, too, is right at the top of her game. Fabulous. 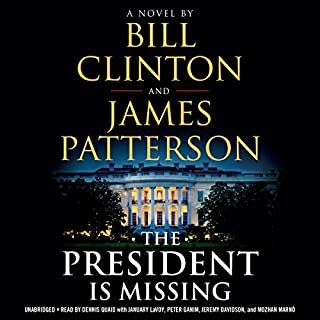 Spoiler alert: I won't reveal the secret here, but I have a huge problem with this book, and what you are about to read might make you change your mind about buying it. The premise of this book promises that an announcement will be made that will put an end to all of the world's religions. I loved reading the book, right up until the announcement is made. If that same announcement is ever made, it will do nothing whatsoever to the world's religions. After that point nothing in this book is believable. What made the experience of listening to Private the most enjoyable? The Business is a tale of drugs, prostitution, and a young girl's fight for survival - against all the odds. Imelda Dooley is scared. She's played hard and fast and now she's been caught. She's pregnant and now she's on her own. Her father, not a man to mess with, will see that somebody pays for this. And it's not going to be her. So Imelda Dooley tells a lie. A lie that literally causes murders. When Mary Dooley's husband is killed in the night's events, she knows she must graft to keep the family afloat. And graft she does. What did you like best about The Business? What did you like least? 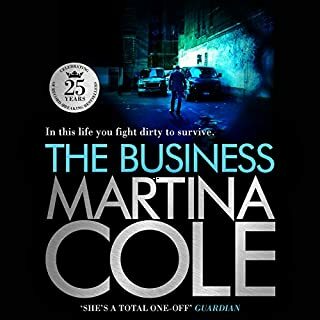 I love the subject matter that Martina Cole covers, but I believe that her work would be far better if she had a decent editor. I lost count of how many times she used phrases such as "sooner rather than later," and "s/he smiled widely." It drove me crazy. There's a chance that Ms. Cole is successful enough to ignore her editors and insist that her books be published "as is," and if that's the case, then I think that she should re-think her stand. The ending was predictable, but satisfying. What does Annie Aldington bring to the story that you wouldn’t experience if you just read the book? The narrator is really pretty good, though she'd b e better if she read the book a couple more times before narating, just so she understands the nuances in certain sentences, though I'm being a little harsh here. I really hope tht the author reads this review. I'm trying to be helpful.